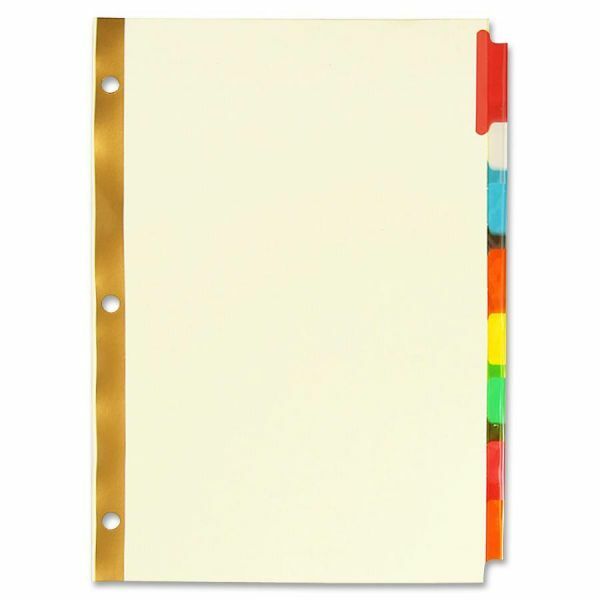 Sparco Premium Reinforced Insertable Tab Index Dividers - Insertable Tab Indexes are reinforced on both sides of the binding edge. Gold-colored, Mylar-reinforcement prevents tear-out. Tabs come in assorted colors. 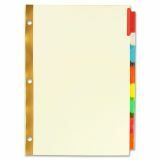 Dividers are buff-colored. Tab indexes include blank white inserts.